Do you have this yet? If not, it would be my honour to buy it for you. 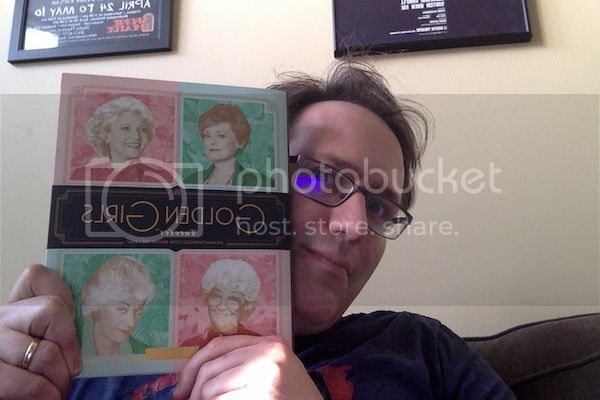 Is there a term for middle aged men who have a Golden Girls fetish? Judging by the reviews he isn't the only one. Do they have conventions and such? Less conventions than creepy fetish encounters. I do not have this...yet. Wolter wrote: I do not have this...yet. My offer is sincere, tho you'll have to PM your address. My life is complete! Thanks, Doc! EDIT: Damn it, Photo Booth. Why are you making my pictures backwards? CV entry: Made some weirdo's life complete. In my opinion New Day Rising makes Zen Arcade sound like a misguided puddle of tinkle. BostonBeaneater wrote: In my opinion New Day Rising makes Zen Arcade sound like a misguided puddle of tinkle. I like both. Tho new Day Rising is better. When I used to drive south from SF to work, the bay would be on my left, east. Certain times of the year, I'd get that song stuck in my head because it sorta resembled the album cover.